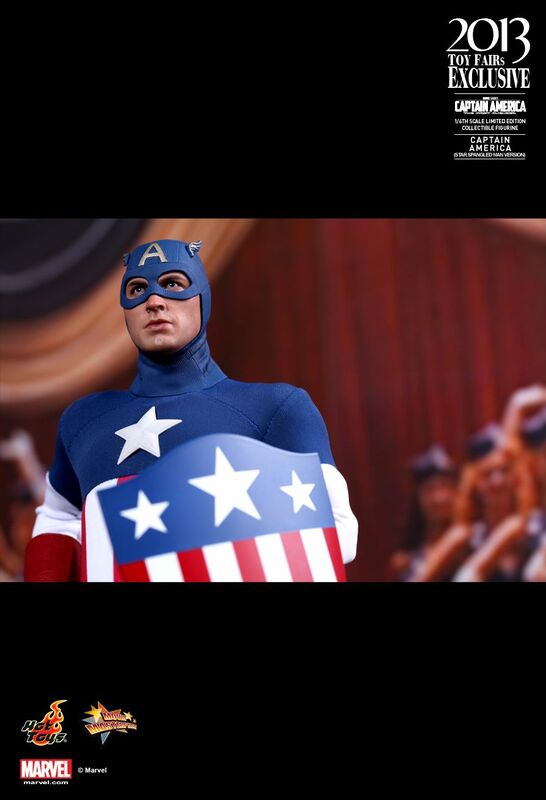 “The Star Spangled Man with a Plan”. 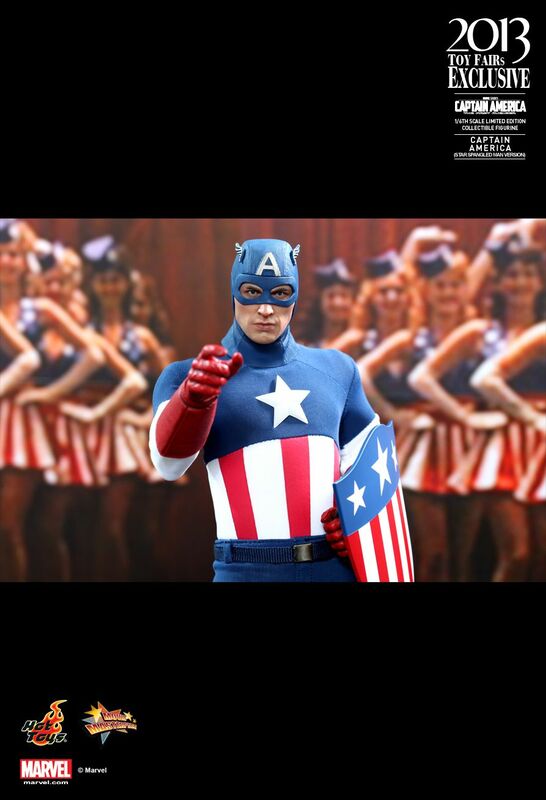 It was a memorable and entertaining moment to see Captain America performing during this catchy song in Captain America: The First Avengers. 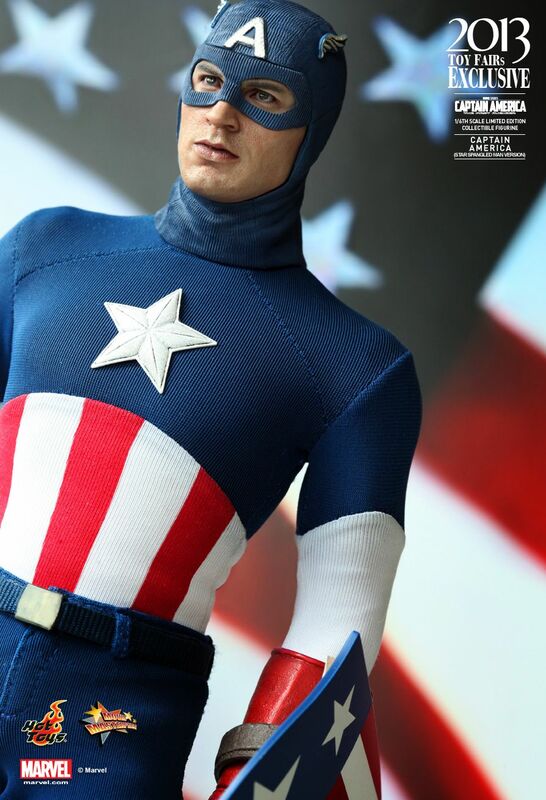 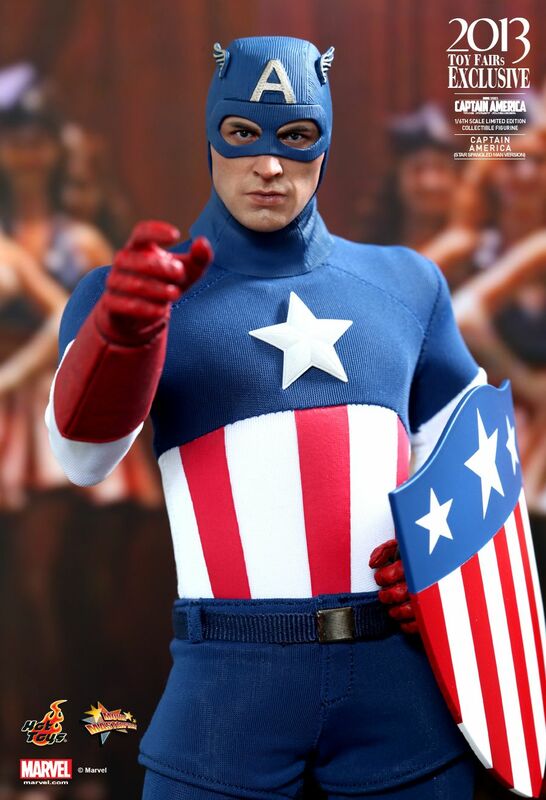 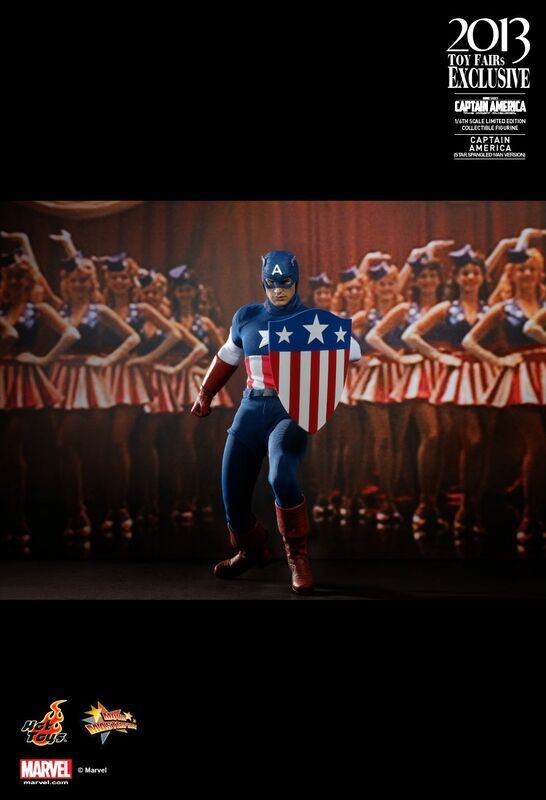 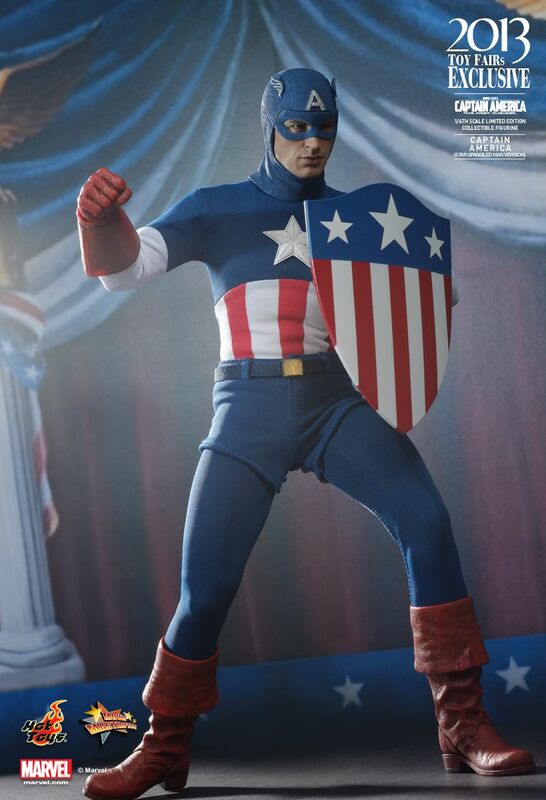 As it was a rather notable scene in the film, we are excited to introduce the 1/6th scale Captain America (Star Spangled Man Version) Limited Edition Collectible Figurine as one of the 2013 Toy Fairs Exclusive items. 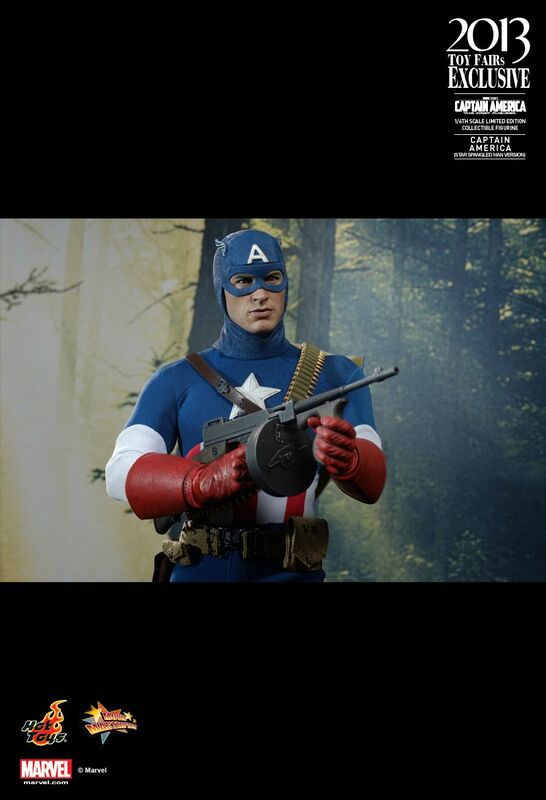 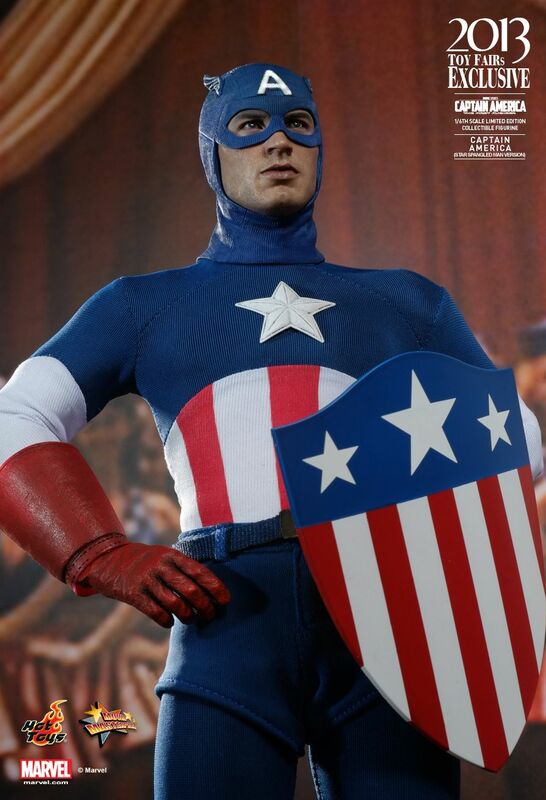 Fans will be able to mimic the scenes where Captain America is promoting war bonds for the government. 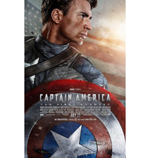 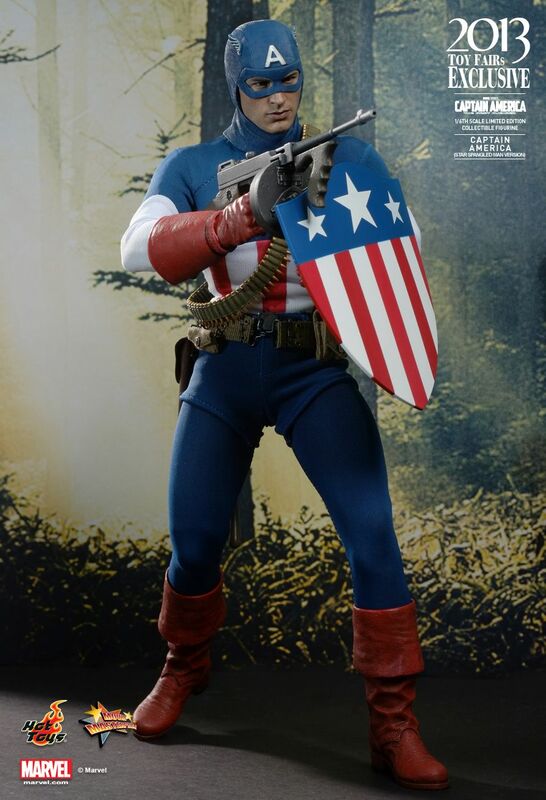 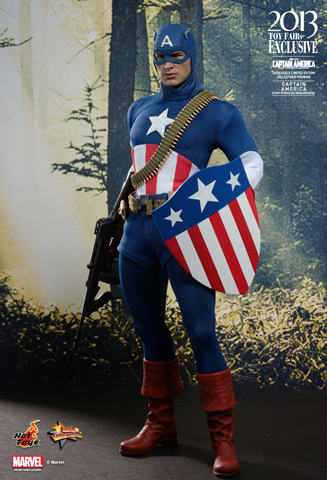 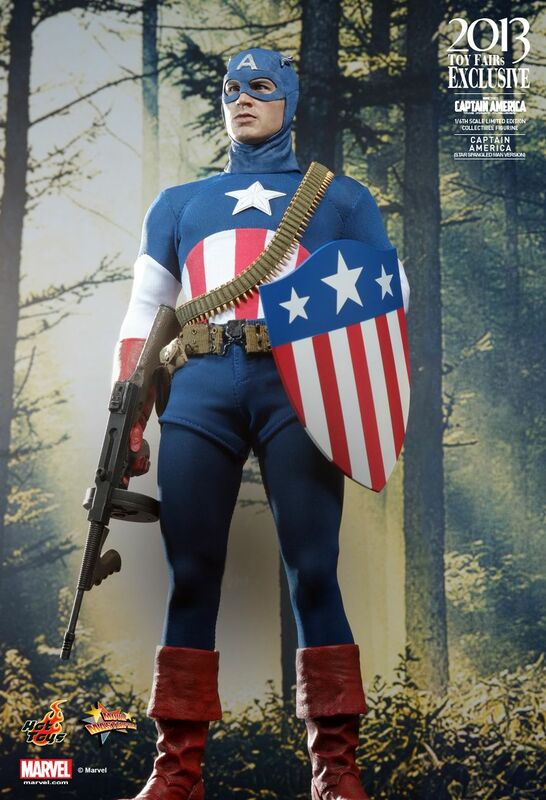 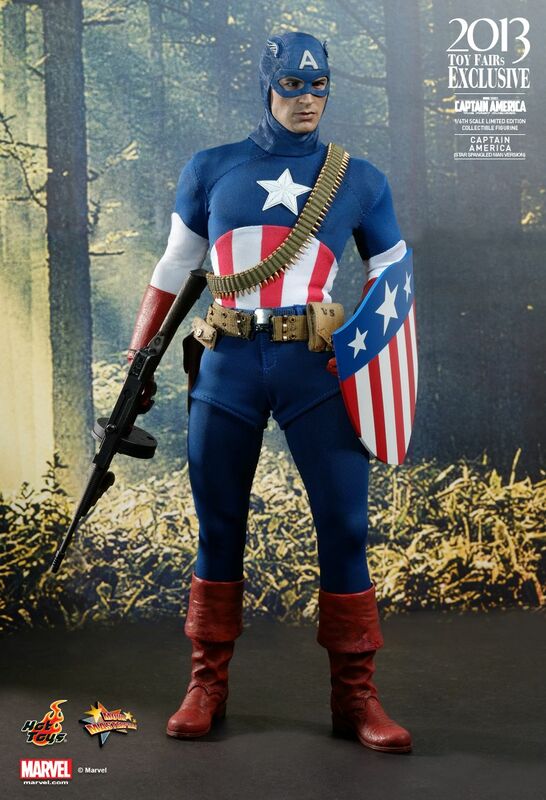 The movie-accurate collectible is specially crafted based on the image of Chris Evans as Captain America in his Star Spangled Man costume in the movie. 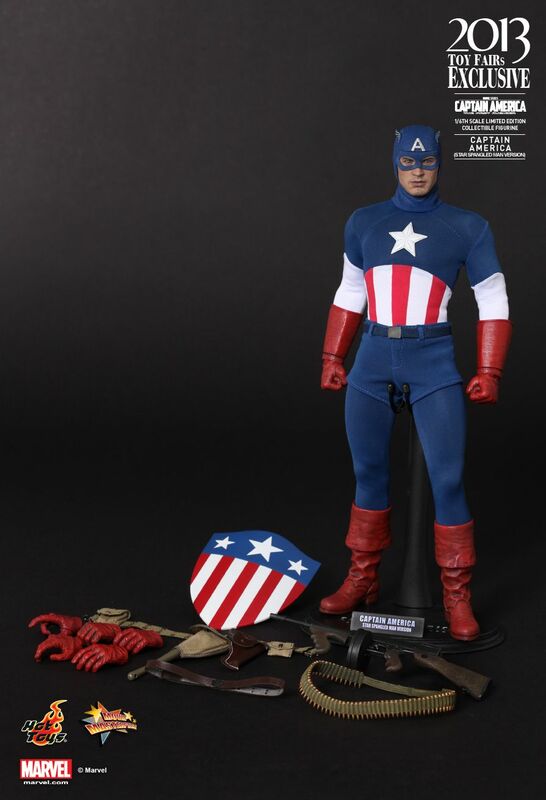 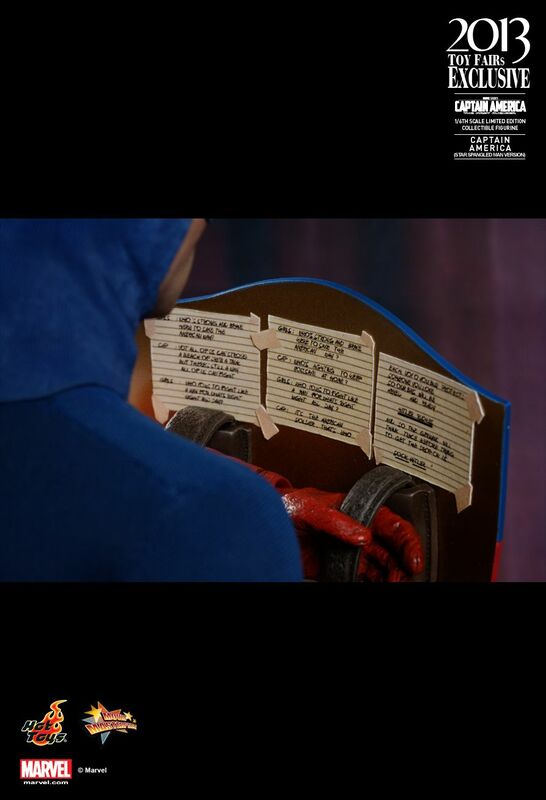 It features a newly developed head sculpt, highly detailed costume, weapons and accessories.